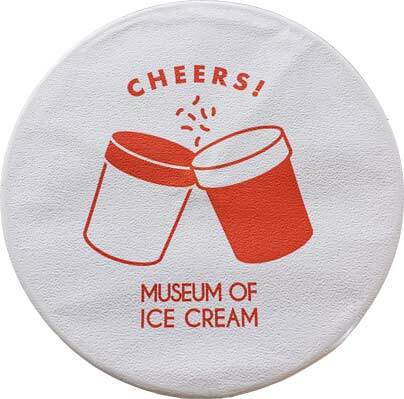 [New for Summer 2018] Have you ever heard of the Museum of Ice Cream? Maybe not, but you have probably seen a picture on social media of someone "swimming" around their giant pool of ice cream sprinkles. Well, for some reason they have gotten in to the ice cream game.... I should probably look for a press release. found it. 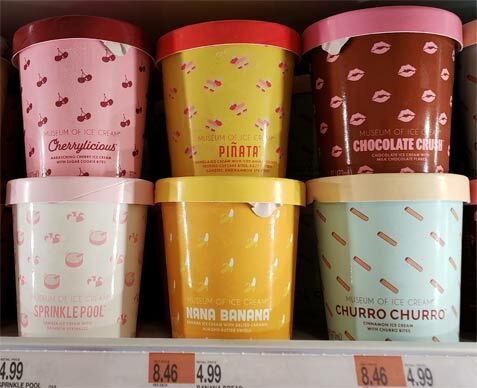 Apparently the seven pint flavors will be exclusive to Target (and any Museum of Ice Cream location). Vanillionaire is one of five new flavors with the other new ones being Nana Bread, Churro Churro (almost picked it instead), Cherrylicious, and Chocolate Crush. Their signature flavors of Pinata and Sprinkle Pool are the other two flavors available. 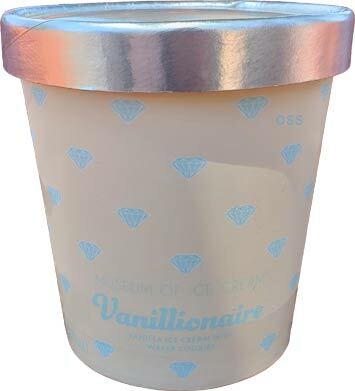 Vanillionaire is probably their second most "simple" flavor since Sprinkle Pool is just vanilla ice cream and sprinkles. Newsflash: Brigham's has had a flavor called Just Jimmies for a long time now and it is very heavy handed on the Jimmies (sprinkles). Also, can I ping them for putting light cyan writing on an off white container? 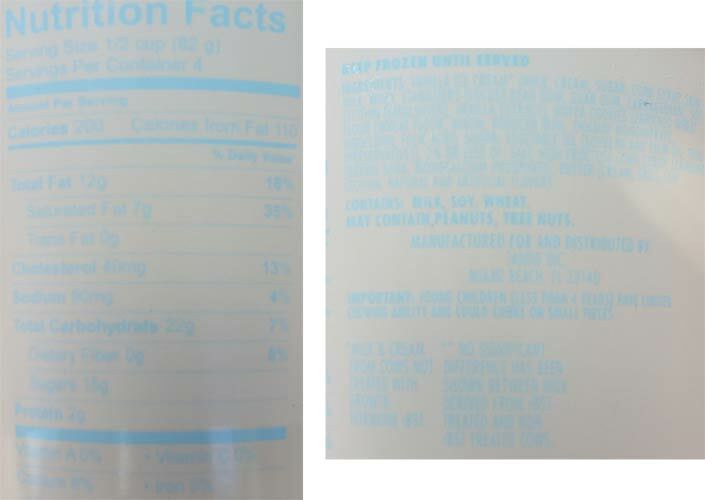 I can barely read the ingredient list (or the cross contamination warning!). The ice cream is not very dense. It's not gummy thankfully, but it is kind of gritty. I'm not positive if that's a delivery issue or a production issue. It's not terrible mind you, especially when it's meant to be a cookie flavor anyway... but I'm starved so it's really easy to push on.... also I have nasty heartburn which the ice cream is helping with. I think the texture might be getting a little better as I get further down the pint. The flavor is fine but not great. 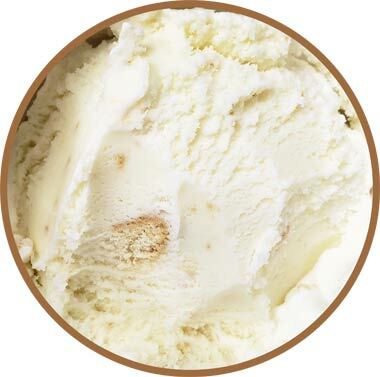 There's nothing terribly special about the vanilla base, but the slight edition of wafer flavoring does make it more complex than some generic vanilla flavor. Doh, I got distracted and forgot to take a picture. Sorry. At least you can see what appears to be the first large chunk I've found. I scoop it out and it does add a bit of vanilla wafer flavoring, but it's not like the base and the wafer have drastically different flavoring. It would be impressive (and different) if the whole thing tasted like wafer. Oh, has anyone done a wafer cookie swirl yet? Ok, I've gone through the first half way too quick, so I'm putting this one in the freezer for tomorrow. In general I am ok with a simple flavor like this. In fact, I think I'm more concerned with wafer flavoring than wafer texture or chunks. Should this pint be $4.99? That's highly debatable. Did I enjoy it? Yes. On Second Scoop: The good news is that the texture has improved in the second half of the pint. The bad news is that if you are a mix-in junkie, there is no way this pint can make you happy. It's way too simple and there are very few large chunks. The thing is, someone who puts down five bucks for a pint is either going to want something that is fantastic quality or something that is packed full of stuff. This is neither. Just tried the Pinata flavor and it was kind of disappointing. It was just sugar on sugar on sugar. Shame, the flavor sounds appealing to me. Maybe it would have been better with a better quality vanilla base and/or a caramel swirl, like Big Gay Ice Cream's Dorothy flavor. @Anon: at least it lives up to its name? @Nick: I wouldnt be afraid to try at least one pint just to see how it strikes you in particular, just don't go nutty and buy all seven flavors at once. I thought you announced your "retirement" from the blog. Maybe retirement is not ready for you I guess? Yeah, there's a lot of anti-MoIC sentiment over on Instagram right now. You can't claim to be amazing (through packaging and pricing) and then deliver a so-so product. I purchased the Cherry, Banana, Vanilla and was not impressed at all. It's not bad ice cream but I won't buy again. Cherry - Flavorless Cherry base with minced Maraschino and about 3 small pieces of flavorless, I suppose, sugar cookie dough. Banana - Descent base flavor. The salted caramel was meh, no good play between the flavorless. Vanilla - GTFO....Very mediocre base, with vanilla wafers. I got sucked in. Don't you get sucked in too! The banana one was disappointing. Nice mellow banana flavor, but skimpy, skimpy ‘swirls’. I bought the churro churro and was 100% disappointed. I tasted artificial vanilla flavoring with a dash of cinnamon. 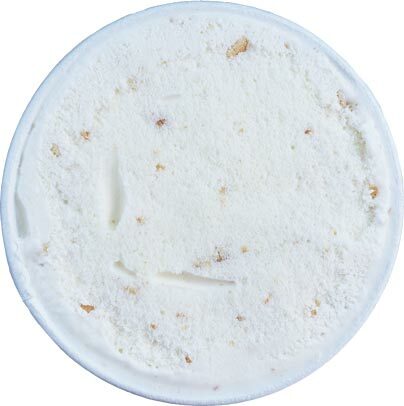 The texture of the ice cream was grainy, almost like a rice pudding. the worst part were the churro mosals. They tasted like flavorless raw dough and felt like I was biting into play-doh. I was entranced by the beautiful art and pastel colors on its exterior, and the fact that was the first time I saw it on the shelves. Don't judge a pint of ice cream by the "cover". I’m so glad I decided to try one pint instead of two or three. I learned all I need to know from the Cherrylicious flavor—sugary, airy ice cream with a few pieces of flavorless “sugar cookie” and some Maraschino cherries. Super disappointing, low quality ice cream. It tastes like glue and paper compared to a pint of Ben & Jerry’s. The other flavors interest me but I already know they’re going to be mediocre so I won’t bother.